Please note that (1) the terms of references of a few awards have been revised by ISPRS Council, together with the award sponsors, including the Wang Zhizhuo Award, the Best Young Author Award and the ISPRS Best Poster Award; (2) Self-nomination is only possible for the Otto von Gruber Award, the Schwidefsky Medal, the Karl Kraus Medal, the Best Young Author Award, the CATCON Prize and the Doležal Award. (3) An online nomination system will be provided to facilitate your nomination. You are welcome to nominate deserving candidates for 2020 ISPRS awards. It is with great pleasure that I introduce the reports from the winners of The ISPRS Foundation (TIF) travel grants to attend the five 2018 ISPRS Symposia. The ISPRS Foundation was formally established at the 2004 ISPRS Congress in Istanbul and has continued to support worthy applicants, primarily from developing countries, to attend ISPRS sponsored events. In 2018, there were a total of 39 successful applicants who received travel grants out of a total of 92 applicants, which is a success rate of 42%. Approximately USD25,000 was allocated to the successful applicants. The decisions on the grants are made by the Grants Evaluation Committee, a permanent committee of The ISPRS Foundation. I especially express appreciations to Professor Songnian Li, the Chair of the Grants Evaluation Committee, who did most of the grant application evaluations. 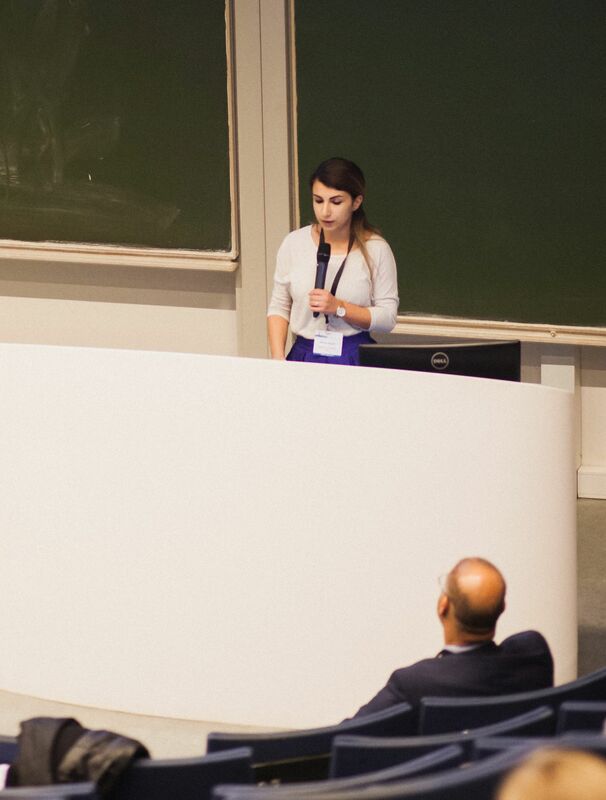 All of the successful applicants have been asked to provide reports of their impressions of their experiences at the Symposia and most have already complied as shown in the previous newsletter and the current one. The reports are intended to demonstrate to the whole ISPRS community the benefits gained by the recipients of travel grants from the funds of The ISPRS Foundation. The enthusiasm with which the grant recipients have described their experiences is testament to benefit of The ISPRS Foundation’s philanthropic activities in supporting deserving individuals from developing countries. However, there are many people who have missed out on receiving grants because of the limited funds available to The Foundation. Therefore, The ISPRS Foundation welcomes donations from individuals and companies to further support its philanthropic aims. 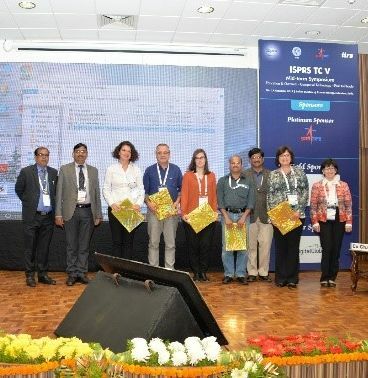 Indeed, with the ISPRS Congress programmed in less than 18 months’ time, The ISPRS Foundation will be hoping to support a large contingent of students from developing countries to attend the Congress. Please consider giving generously to the activities of the ISPRS Foundation. Last month, ISPRS received the news that the ISPRS Annals are now also listed in the E/I Compendex, https://www.elsevier.com/solutions/engineering-village/content/compendex. Thus, both ISPRS proceedings series, the Annals and the Archives, are now listed in the ISI Conference Proceedings Citation Index (CPCI) of the Web of Science, SCOPUS, the E/I Compendex, and the Directory of Open Access Journals (DOAJ). It goes without saying that our contributions can also be found under Google Scholar and Research Gate. This completes the current efforts to have the ISPRS proceedings series indexed in the major publication databases. We will obviously continue to be on the lookout to further enhance the service for our community and will try to have the proceedings listed in any additional indices as desired by future authors. Following the first initiatives taken for the 2016 ISPRS Congress, the reviewing process of ISPRS events was revised in 2017-2018. It was carried out by the 2020 Congress Director, ISAC members, Technical Commission Presidents (TCP), Council members, and 2016 and 2020 Congress Programme Chairs. 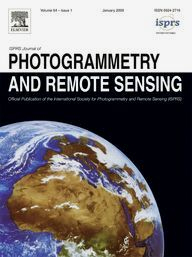 This publication firstly targets to better fit to the current requirements and expectations of the ISPRS community. Secondly, it aims to provide unified guidelines for the different steps of the process. This document applies for all types of ISPRS events (from Congress and Geospatial Week to smaller workshops), and all categories of people involved in the evaluation process of scientific contributions (authors, reviewers, etc.). It also specifies the novel evaluation criteria, similar for full papers and abstracts, for methodological and thematic contributions. The following guidelines are currently adopted for the 2019 ISPRS Geospatial Week and will be fully implemented for the 2020 Congress. 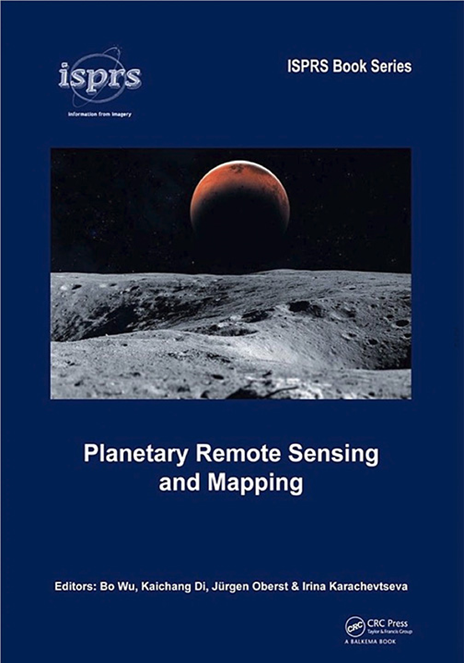 Edited by Bo WU (The Hong Kong Polytechnic University), Kaichang DI (Chinese Academy of Sciences), Jürgen OBERST (German Aerospace Center), and Irina KARACHEVTSEVA (Moscow State University of Geodesy and Cartography), this book, published by Taylor & Francis, offers new insights and timely updates on the research and developments in planetary remote sensing and mapping. "State-of-the-Art in Spatial Information Science"
This Special Issue, as part of the preparation for 2020 ISPRS Congress, will review and document recent developments in spatial information science with a focus on multi-dimensional (3D, 4D, 5D ...) representations, geospatial big spatial data processing and applications, in addition to research spanning the theoretical foundations of spatial information science, through computation with spatial information, to technologies for spatial information use. High-quality contributions are invited in the form of comprehensive scientific review papers and position papers that address the state-of-the-art in a particular branch of spatial information science. Papers targeting more recently developed fields or research directions are especially welcome. The 2019 series of e-learning courses from EuroSDR is now open for registration: http://www.eurosdr.net/education/course/eduserv17-2019. Topics of four e-learning courses will be introduced during the seminar hosted by the Cartographic and Geologic Institute of Catalunya, Barcelona, Spain, from 4th to 5th March 2019. Two-week e-learning courses are scheduled from March to June 2019. In the past several years, there have been significant technological advances in the field of crisis response. However, many aspects concerning the efficient collection and integration of geo-information, applied semantics and situation awareness for disaster management remain open. Improving crisis response systems and making them intelligent requires extensive collaboration between emergency responders, disaster managers, system designers and researchers alike. To facilitate this process, the Gi4DM (GeoInformation for Disaster Management) conferences have been held regularly since 2005. The events are coordinated by the UN-GGIM Geospatial Societies (previously JB GIS) and the "GeoUnions of the International Science Council". 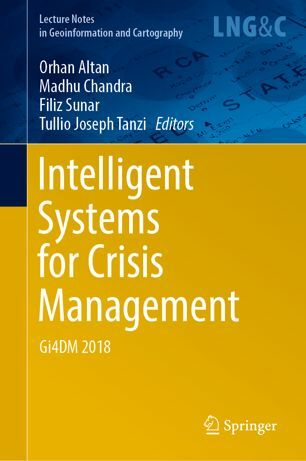 This book presents the outcomes of the Gi4DM 2018 conference, which was organised by the ISPRS-URSI Joint Working Group ICWG III/IVa: Disaster Assessment, Monitoring and Management and supported by many GeoUnions, held in Istanbul, Turkey on 18-21 March 2018. It includes 12 scientific papers focusing on the intelligent use of geo-information, semantics and situation awareness. 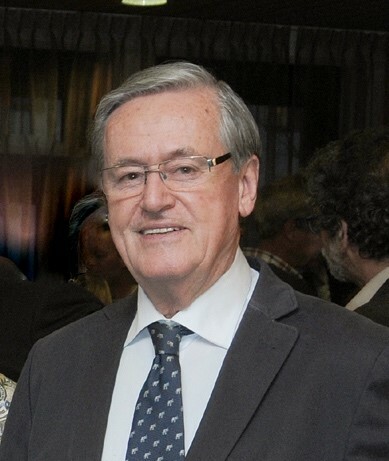 ISPRS Fellow, Congress Director of the 2000 Amsterdam Congress, and former President of Commission VII, Klaas Jan Beek passed away on 13 January, 2019. Remke, Alexander, Rodrigo-Comino, Jesús, Gyasi-Agyei, Yeboah, Cerdà, Artemi, Ries, Johannes B.
Griffith, David C., Hay, Geoffrey J.
Sibolla, Bolelang H., Coetzee, Serena, Van Zyl, Terence L.
Ramos, Francisco, Trilles, Sergio, Torres-Sospedra, Joaquín, Perales, Francisco J.
Agryzkov, Taras, Pedroche, Francisco, Tortosa, Leandro, Vicent, José F.
Ahmed, Bayes, Rahman, Md. Shahinoor, Islam, Rahenul, Sammonds, Peter, Zhou, Chao, Uddin, Kabir, Al-Hussaini, Tahmeed M.
Mehdipoor, Hamed, Zurita-Milla, Raul, Augustijn, Ellen-Wien, Van Vliet, Arnold J. H.
Nicolau, Rita, David, João, Caetano, Mário, Pereira, José M. C.
Matijosaitiene, Irina, Zhao, Peng, Jaume, Sylvain, Gilkey Jr, Joseph W.
Chu, Hone-Jay, Yang, Chen-Han, Chou, Chelsea C.
Brackin, Roger C., Jackson, Michael J., Leyshon, Andrew, Morley, Jeremy G.
You got this email as you subscribed to the ISPRS mailing list. Officers, members and contact persons of members get it by default.